Written by Nancy C. Johnson. Mainly... this book is a murder mystery. I think, for me, it succeeded at being just what it was supposed to be. I was continually guessing throughout the book who the actual murderer was. Was it Gwyn's (the main character's) husband Trevor? Her sister Linda's husband Wolfgang? (seriously... his name was Wolfgang.) Was it Josh, Gwyn's old ex-boyfriend? Was it Craig... who the police think did it? There were some exciting page-turner chapters... and there were some chapters that were dull and I found myself skimming. Did I enjoy the book? Yes. At times I couldn't put it down. 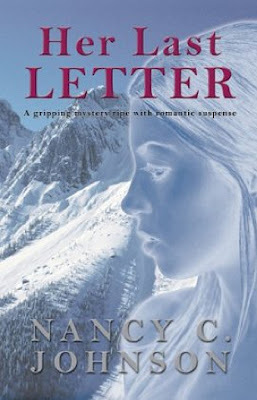 Would I go out of my way to get another book by Nancy C. Johnson? Probably not.